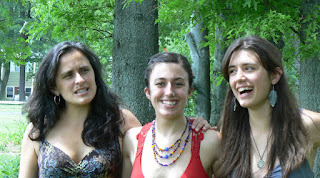 Obligatory mildly embarrassing family photo, 2010. 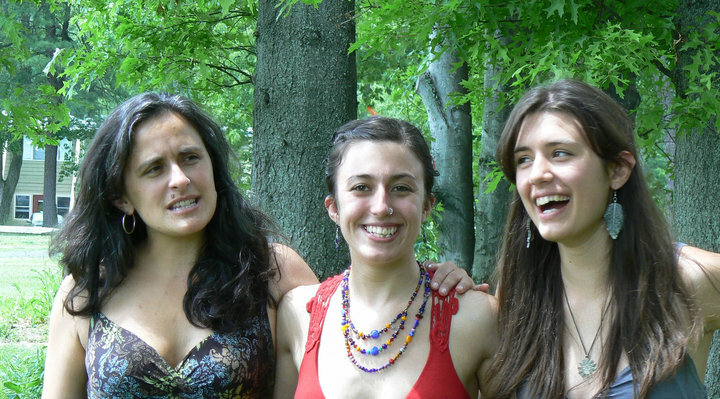 Happy birthday to Jasmine Donahaye, writer, thinker, and also my mother. Because I am lucky enough to have parents whose writing I genuinely love, I would like to take today to celebrate her words. My mother (like my partner, Kevin Devaney) hates being referred to or introduced as "a poet" - she would prefer writer, or maybe person. She writes excellent prose (she's got a new book out!) and she's a professional editor (which has given me an unfair advantage in the writerly pursuit of proving ones worth through superior deployment of punctuation) but I would be lying if I didn't say that what I love best is her poetry. Thus, in recognition of her gifts and to express gratitude for her existence on this earth, I give you a heartfelt and genuine review of her two books of poems, Misappropriations and Self-Portrait as Ruth. Fulsome in my praise as I may be, I hope you will agree that my appreciation is not, in fact, misplaced or overblown: I am grateful to be the child of a writer I would one day like to emulate in clarity, thoughtfulness, and depth of longing. My mother's poems, though often beautiful, are not pretty. I may have been too young for her first book when it came out, or maybe I just hadn't started reading real poetry yet; I was still in high school and I thought I was very cool for having read a lot of anguished 19th-century French poetry in the original. I don't know if I'd bothered to read anything else, and I don't think I really knew what a throat-sticking, heart-stopping line was until I was somewhere in college. I suspect that's why I was baffled by Misappropriations (Parthian, 2006) when I first read it at 18: wait a second, there's a lot of real pain in this! In the years since, however, the things that puzzled me - the thing, really, which is to say, yearning - ceased to be disconcerting and became, really, the reason I read poetry at all. leans her porcupine body against me, shivering. I read voraciously as a kid and I was big into fantastical, descriptive, image-heavy books, but that might well be the first image I remember from a poem. I know exactly how that rosemary bush feels, damp and almost animal, the weight of it, its presence. The exactness and intensity of the physical sensation that line conjures up in me has stayed with me for years. I don't remember that particular bush: I know when that poem was written and where it was set, and the rosemary bushes that I can specifically recall are elsewhere. It's the sensation of rosemary that the poem carries for me. Leans her porcupine body. A plant transformed into something more, weighty, breathing, the way that plants are, sometimes (although I was a literal tree-hugger as a kid, so maybe this happens less to other people) - this was, I think, my first inkling of the way that language can work in poetry. 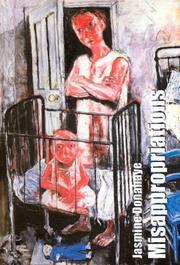 Misappropriations is a dark book, and there are some lonesome, frightening things in there about motherhood. Even Beatrix Potter, usually considered a paragon of old-fashioned sweetness in the children's book arena, is revealed as being uncomfortably aligned with the Grimm (pun intended) tradition of quietly horrible things happening in nursery rhymes and fairy tales. It's not hard to tell, for example, that the Tale of Squirrel Nutkin is a cautionary story about the perils of rebellion. (For those not familiar, it's the tale of a bunch of squirrels who every year bring a propitiatory offering to the local owl, Old Brown - except for naughty little Nutkin, who not only fails to participate in preparing the sacrifice but also has the audacity to tease Old Brown with riddles and dancing. The story ends with Old Brown trying to eat Nutkin, who is lucky to escape with just a bit snatched off his tail.) The poem Socialisation isn't a retelling or a commentary on Nutkin. It has nothing new to say about the story. Instead, it offers a harsh reflection of what the story says about us. that risk is not worth taking. like these Blitz children, swinging their boxes. under barrage, holding it all in, holding on. baruch ha'ba, a blessing that you've come. which permits you to say here, this is where I'm from. Jasmine Donahaye from Wales Literature Exchange | Cyfn on Vimeo. Happy birthday, Mum, I'm so glad you are alive and writing; you make the world richer with your voice.